Only want to tan your legs? 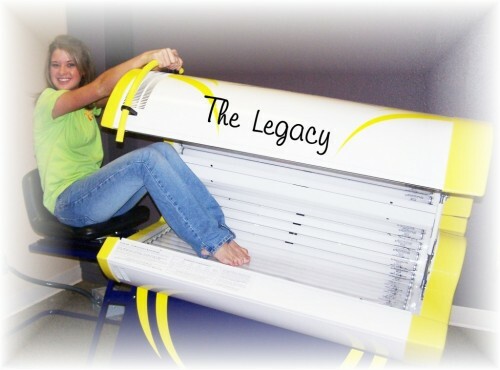 Our Legacy will tan your legs in just 10 minutes, while sitting in a comfortable leather chair. Silver Membership *12 month contract for only $24.95 per month! Includes: Legacy, Premiums, and entry Level Beds. Tan your legs in just 10 minutes!